You could extract a better shot with the right equipment and know-how too, and if you’re interested, you should absolutely pursue that. I own both a Nespresso and a traditional espresso machine, and love both for very different reasons. With the introduction of the Nespresso Vertuoline, which also makes regular coffee, you have more to think about when buying into the ecosystem. While having both options might seem like a no-brainer, the Vertuoline is not compatible with the original line of Nespresso pods, and many feel the espresso produced by the original line of machines is superior. 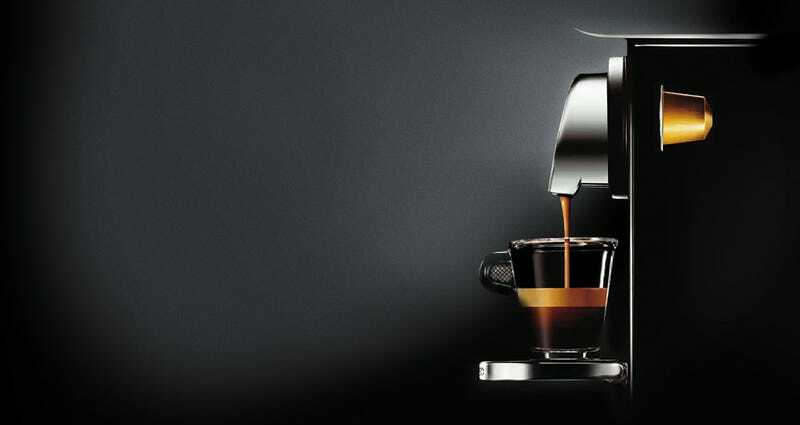 The Nespresso Pixie has the smallest footprint of the original Nespresso line, and is arguably the most attractive. It uses a full 19 bars of pressure to push water through the coffee (9 is the standard), and it all happens with the press of one button and essentially no cleanup. Nespresso has a growing selection of coffee varieties to choose from, and third-party coffee roasters have gotten into the mix as well. If you know you’re going to be primarily making milk-based coffee drinks, you may want to consider the Nespresso Lattissima, which includes a milk steaming/frothing system. However, you can buy a Nespresso Pixie and standalone milk frother for less than the cost of the Lattissima, which is a useful thing to have around. The Vertuoline uses a centrifuge to “gently and fully extract all the aromas of your coffee,” which is pretty cool. The Vertuoline pods also have barcodes that hold specific brewing instructions for the machine to scan and follow, a brilliant feature. The Nespresso Pixie arguably makes better espresso, takes up less space, has more first-party pods to choose from, and has a growing ecosystem of third-party pods. It’s also an established, successful product. The Vertuoline on the other hand also makes regular coffee.